Azelaic (ay-zeh-LAY-ick) Acid is effective in treating a number of skin conditions, such as acne, inflammation and hyperpigmentation. 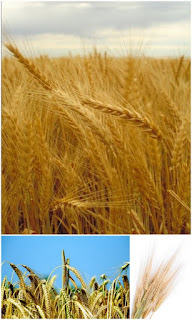 It is naturally present in the skin and is also found in other sources, including wheat, rye and barley. Azelaic Acid is naturally antibacterial which makes it a great treatment for acne. When applied topically, it reduces the growth of bacteria in a follicle, helps to reduce inflammation and remove dead skin cells to prevent future acne breakouts. Azelaic Acid can be used on just about any skin type, including sensitive, as it has the ability to reduce inflammation. Anyone with rosacea, especially those with acne rosacea, will find it makes an excellent treatment for calming and soothing their inflamed skin. Azelaic Acid is also fantastic in treating hyperpigmentation, such as post acne scarring and melasma, as it reduces melanin production. If you experience sensitivity to hydroquinone, Azelaic Acid is a good alternative. Lastly, Azelaic Acid has shown that it may be useful as a hair growth stimulant.